An interactive session was organized on "Sales and Marketing Strategies of Hindustan Levers” on 4th April, 2016 for the student of PGDM. 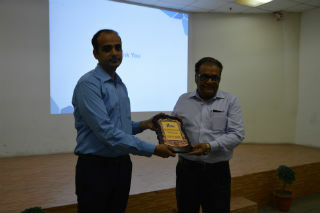 JIMS organized Guest Lecture by Mr. Shashwat Sharma, Category Head, Hindustan Unilever. He has a vast experience of more than a decade of handling reputed brands of HUL like Dove, Pears, Liril, Lakme, Closeup and Pepsodent as Senior Brand Manager, Sales and Customer Manager and Category Head. He has been keenly involved in innovation Project Management, running marketing of a portfolio of brands to activate them and deliver P&L targets on the brands, handling Media to deliver reach in Indian consumers and establishing new distribution networks for HUL. 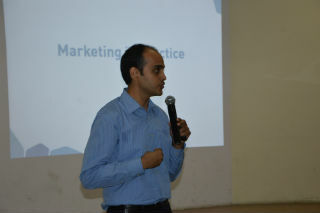 The session started with the brief introduction of sale and marketing as a job profile. He shared many inside stories which helped students to learn the facts. He showed many video clippings related to marketing that how actually they attracted their customers and what are the strategies they were using at the time of sales. There was one Inspirational video on Lifebuoy which actually motivates the youth and tends them to buy the product and that particular video was also liked by the entire gathering present at that time. 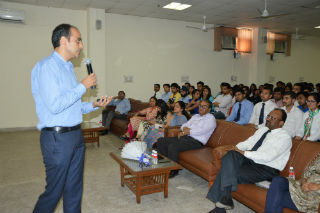 He shared many HUL Marketing Strategies, importance of re-positioning, importance of 4 P’s. 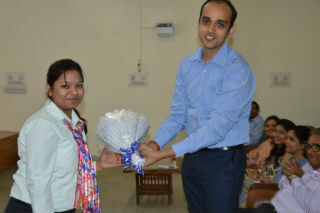 Then he explained the usage of packaging and promotion as a whole which gives the major impact to the students. He discussed with students about the concept of “build asset on your brand” by logos, music, icons, and never let them go, as they help customers to remember your products. He explained students that sales and marketing has lots of career path. In the later part of the session, he explained various job profiles offered to marketing students and the certifications which can be done along with MBA/PGDM to obtain an edge over others. 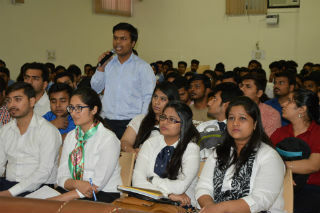 Students interacted in the session with keen interest and raised questions about how to make career in the field of sales. 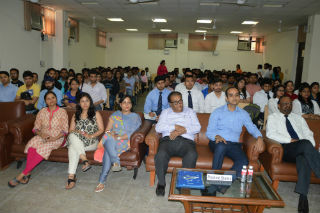 In the end, He responded to the questions of students.